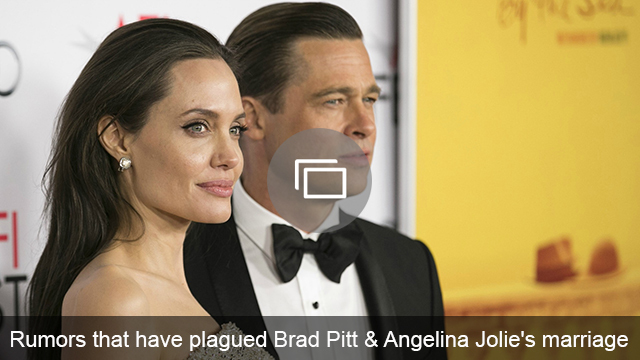 By now, you probably know Brad Pitt’s been accused of child abuse. Sources are now claiming that the Los Angeles County Department of Children and Family Services’ investigation has officially been concluded, and Pitt has been cleared of all the allegations against him concerning the treatment of his children. “It was a full and thorough investigation and the determination has been made that no charges should be brought,” a source told People magazine, adding that there was no evidence found that Pitt had abused his children. “The likely next step is a referral to family court so that the matter of custody can be determined; there is no permanent custody agreement currently in place, only an arrangement pending the outcome of this investigation. Now, with this conclusion, custody can be determined,” the source further explained. The child abuse allegations stemmed from an incident on Sept. 14 in which Pitt was accused of getting drunk and verbally and physically abusive toward his oldest son, Maddox Jolie-Pitt. Jolie’s camp issued a response to People about the investigation ending, and it was extremely similar to the statement issued just days ago regarding the custody battle Jolie and Pitt are currently engaged in.